I have just finished this little project making up some nice MC step-up-transformers (SUTs) using the fantastic Hashimoto HM-7 transformers from Japan. Hashimoto Electric have been making audio transformers since 1958 and was a transformer supplier to Sansui Electric until 1979 when they took over the entire Sansui transformer business, including patents, blue prints, designs and personnel. Little known outside Japan until the past few years, their transformers are winning a lot of admirers, and the HM-7 MC stepup transformers have gained something of a reputation for outstanding performance. The HM-7 has dual primaries which may be wired in series or parallel, for matching to medium (7 - 40 ohm) or low (2 - 7 ohm) impedance MC cartridges, providing a gain of 15 times (23 db) of 30 times (29 dB). 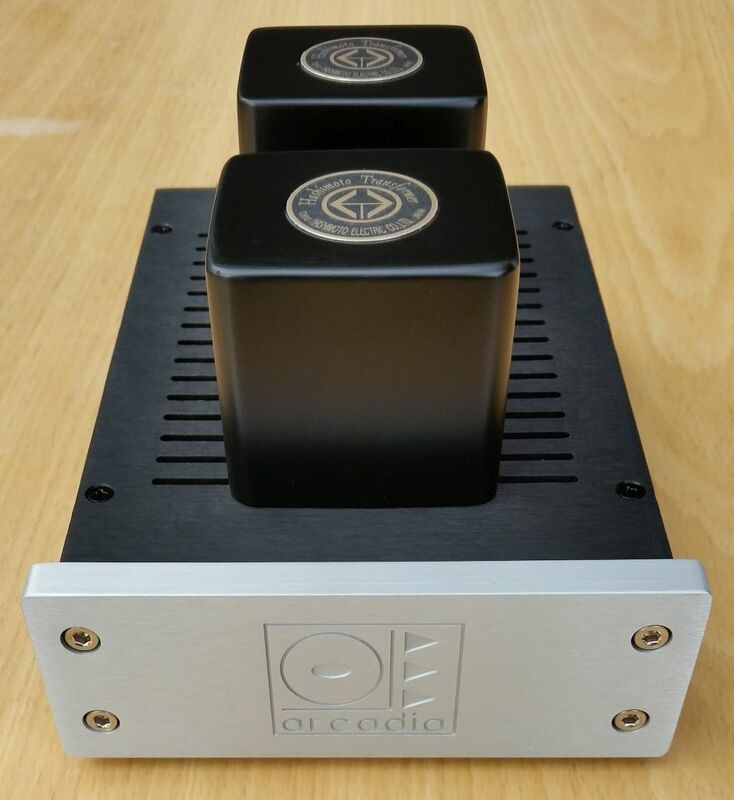 The lower cost HM-X has very similar specifications, and trades some low frequency performance for high frequency extension. 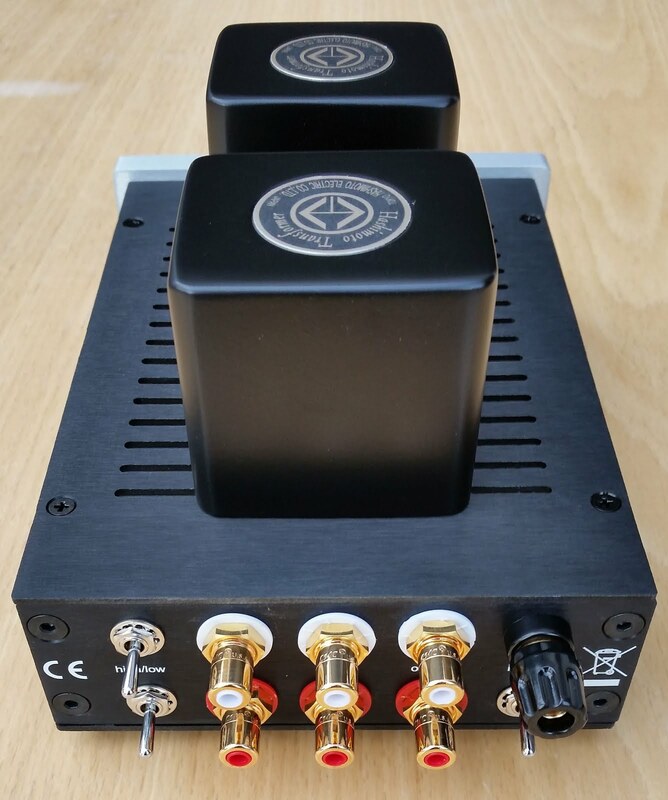 The HM-3 model is almost half the cost of the HM-7, it offers 20 times (26 dB) or 40 times (32 dB) gain but has less high frequency extension than either the HM-X or HM-7. 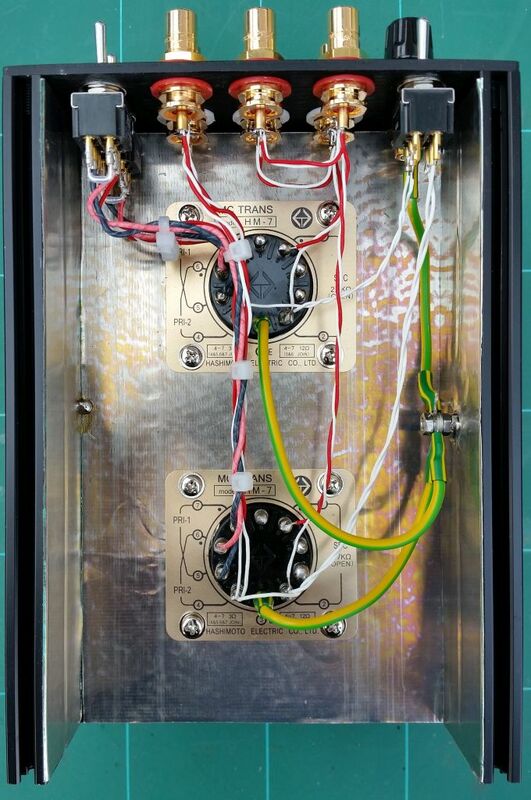 The transformers are supplied in cans with solder connections, so they need to be built into a case for ease of use. The switches on the left select series or parallel connection of the primaries, and the switch on the right connects or disconnects the primary winding ground to the secondary winding ground, to enable the primaries to "float". Between the input and output phono sockets are a pair of "load" sockets, which can be used to plug in secondary loading resistors if desired. The inside of the case is lined with mu-metal sheet to help minimise noise and hum pickup. 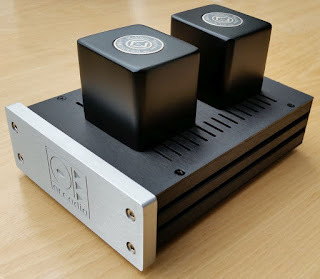 The finished SUT can be supplied with any of the three Hashimoto stepup transformers, HM-3, HM-X or HM-7 to best match with cartridge and budget. Is the model 9 for sale and how much?